So many pastors regularly experience loneliness and discouragement as a result of doing ministry on the frontlines of God's kingdom. If you ever feel like this you are not alone. We are creating this special one day event to pour into local Lead Pastors and help facilitate greater connection in our region. 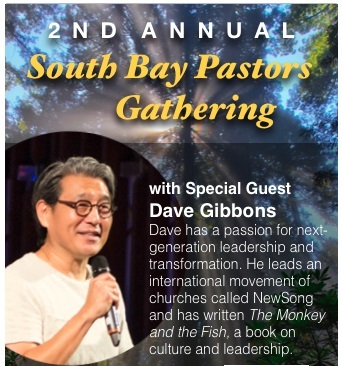 You're invited to be a part of the SOUTH BAY PASTORS NETWORK, a relational group of Lead Pastors, in this special event designed to encourage your soul.